It is essential to have a solid home pricing strategy in any real estate market. A fast-paced real estate market presents some exceptional opportunities for home sellers that stretch beyond price alone. For most of my twenty-five-year real estate career, there was one home pricing strategy that seemed exceptionally popular with home sellers; "Price it higher than what it is worth, so we have room to negotiate it lower." This plan of action was often swiftly followed by the old venerable statement; "We can always come down in price but cannot go up." Pricing a home higher than what it is worth may never have been a good strategy but more of a hope, kind of like hitting the Powerball. The information age we presently live in has made the price-it-up strategy even more difficult. The internet has turned avid home shoppers into home valuation aficionados who are quick to recognize the difference between the right price and the wrong price. The internet has drastically changed the way buyers shop for homes. Back in the day, people looked at print ads that said GREAT HOME priced at $199,999. The accent was on the under $200,000 price tag. This type of display ad pricing worked for many products. Along comes the internet and now people use price categories to find the homes they desire. 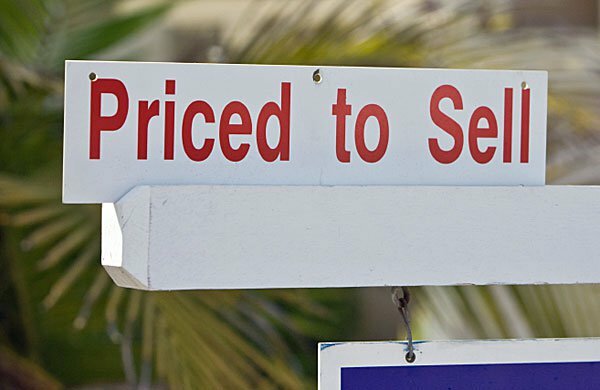 Instead of seeing an ad with a house in their desired price range they are now able to choose the price range they wish. Most real estate websites use channel valuing to help buyers search for homes. In two clicks of a mouse, the buyer can search all homes in a given area between the $200,000 and $250,000 price channel. The house priced at $199,999 never shows up in this buyers home search at all. What this means is that it is important your home's price is in the right pricing channel, so the maximum number of buyers find it. In a nutshell, a fast real estate market consists of more home buyers than homes sellers. The more buyers that can find your home the better. If the house is priced too high (out of the channel) it stands to reason fewer people will be interested. Let's say your home is worth $200,000. If you price the house at $214,900 hoping to get $200,000 you are going to limit the pool of interested buyers. Pricing above $200,000 means your home will likely be competing with other houses up to $250,000 in a price channel that has fewer buyers than the $150,000 to $200,000 price channel. Even better, at $200,000 you will be in both price channels. In a fast-paced real estate market, you can price your home at $200,000, and more buyers will compete for your home and may even bid it up past the $200,000 you are asking. You see, it is better that prospective buyers compete against each other to purchase your home than having your home compete against other houses that may be better. Buyers tend to get very emotional when they compete for a home, and that often benefits the seller. Another advantage of having multiple offers is that you will likely get better terms and conditions in the deal. When you overprice your home, you're fortunate to get one buyer who may call all the shots. When you have multiple offers, it is possible that the buyers will use terms and conditions to make their offer look better than the other buyers offer to mean they might waive home inspections and let the seller pick a settlement date that is more suitable for them. The best part may be that if for some reason the deal is not going well you have a list of other buyers who really wanted your home, lost out, but now have a second chance, a plan "B" of sorts. In today's fast-paced real estate market it is more important to pick the right price channel than overprice the home to get less. What is impressive is that you can actually underprice your home and get more. When pricing your home consider a 'Smart Price" and not an"Over Price." The real estate market of today has a way of sorting these things out.